To support organizations in applying effective sustainable improvement I provide workshops on Agile, Lean, Retrospectives, soft skills like communication and collaboration, and continuous improvement. 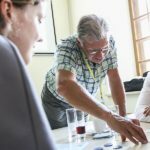 I regularly provide workshops, masterclasses, and training sessions, where people gain new insights, try out different practices and techniques, and learn how to apply them effectively in their own specific situation. The above list includes workshops given in the past which I do on request only. More information about them can be found in my past events and presentations pages. I use many exercises, games, and real-life cases in my workshops. 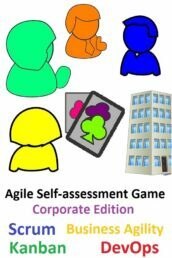 Examples are the retrospectives toolbox, the Impediment Game, and the Agile Self-assessment Game. My approach enables attendees to apply the things they learned in their daily work. The workshops are time well spend; organizations get value for their money! In-house workshops are designed to meet specific customer needs. They are just-in-time focused training. All the workshops that I provide include materials like references to books, publications, and presentations. I provide support to attendees before, during, and after the workshop (Free Lifetime Support). Everything is included for an all-in price. Contact me if you want me to come over to your city/country to give a workshop, need a quote for an in-house workshop or talk, want me to give a tutorial at your conference, or want to partner with me to organize a workshop in your country. What are your workshop needs? Contact me if you would like to work with me as a partner. It was a pleasure to be in the workshop Making Agile Valuable by Ben Linders, one of the most useful workshops I’ve been on. I liked that it was very practical without tons of theoretical ppts. I liked the one big exercise which was good decomposed and realized in many practical steps which enhanced team work, feedback and learning from failures. 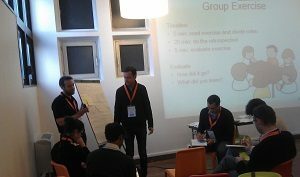 Ben provided training for our Product Owners and Scrum Masters and it was a great experience for all involved. I was familiar with some of Ben’s publications prior to working with him, but I was still impressed by his vast knowledge, professionalism and genuine interest in understanding our pain points in order to tailor the course to address our specific needs. I would recommended Ben services, to any team that wants to genuinely improve. Ben Linders’ın “Effective Agile Retrospectives” eğitimine katılmıştım. 3 seneye yakın Scrum Master’lık yapmış biriyim. Ve bu eğitimin agile takımlara (özellikle SM’lara) yararlı olacağını düşünüyorum. Tavsiye ederim. 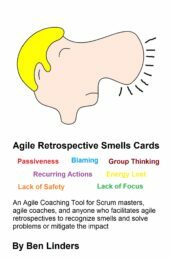 I participated in Ben Linders’ “Effective Agile Retrospectives” training. I’ve been a Scrum Master for almost 3 years, and I think this training is useful for agile teams, especially for Scrum Masters. I recommend to participate. Ben came across as a highly approachable and experienced person who was presenting his own experiences through easy to follow, fun-filled exercises. 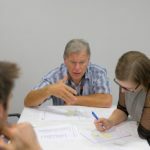 While you participate in these group exercises it allow you to reflect on your own (and your team’s) experience – what I do, how I do it and why it works or not, which helps you to learn better and faster. The game played clearly shows common traits that hold people back and get in the way of them being the best they can be. 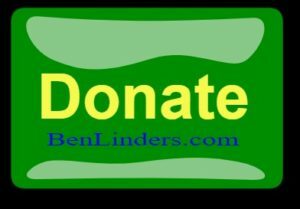 Ben Linders has significant experience in Application Development and CMMi. I had an excellent learning session from Ben on Business Focused CMMI, Process Deployment, and Agile Process Improvement. Ben is very eager to share his knowledge and experiences. Ben has published many papers which are useful and can be easily applied in various scenarios. 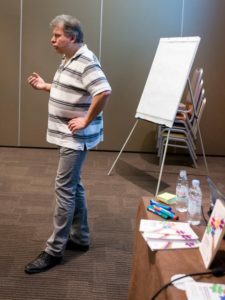 After attending the Agile Retrospectives workshop by Ben Linders, I can definitely say that as an Agile Coach/Scrum Master, I had a useful toolset to experiment with my teams for having effective and productive retrospectives. I strongly recommend this workshop to extend your retrospective techniques and skills. 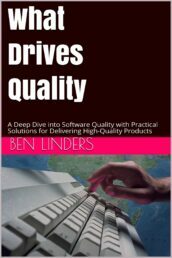 I have known Ben Linders for many years and more recently had the pleasure of working closely with him to organise three co-located conferences in Netherlands focused on software development and process improvement. Ben has been fantastic collaborator in the event – his deep knowledge of the subject matter, latest trends and the marketplace in general is impressive and it is clear he has a genuine passion for better process improvement. Ben is one of the first people we contacted with the idea of holding conferences in mainland Europe – right from the start he was an invaluable source of sound advice; always open and willing to share his thoughts and ideas, culminating in him chairing the Process Improvement conference, presenting and leading the experts panel. Ben is a super guy to work with and I highly recommend him. 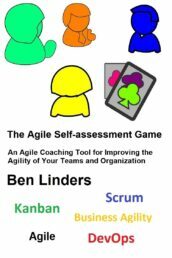 Ben Linders is an Independent Consultant in Agile, Lean, Quality and Continuous Improvement, based in The Netherlands. 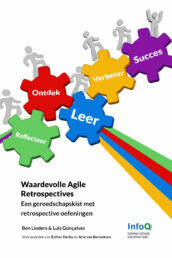 Author of Getting Value out of Agile Retrospectives, Waardevolle Agile Retrospectives & What Drives Quality. 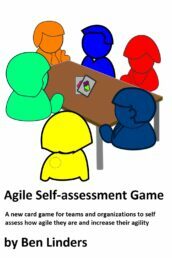 Creator of the Agile Self-assessment Game. 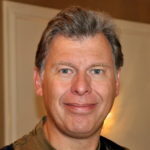 As an adviser, coach, and trainer he helps organizations by deploying effective software development and management practices. He focuses on continuous improvement, collaboration and communication, and professional development, to deliver business value to customers. He regularly provides workshops and training sessions and conference keynotes, talks, and tutorials.